This integrated Clodagh Libra pedi-spa and massage table by Oakworks is built for high-volume spas that offer both pedicures and massages. 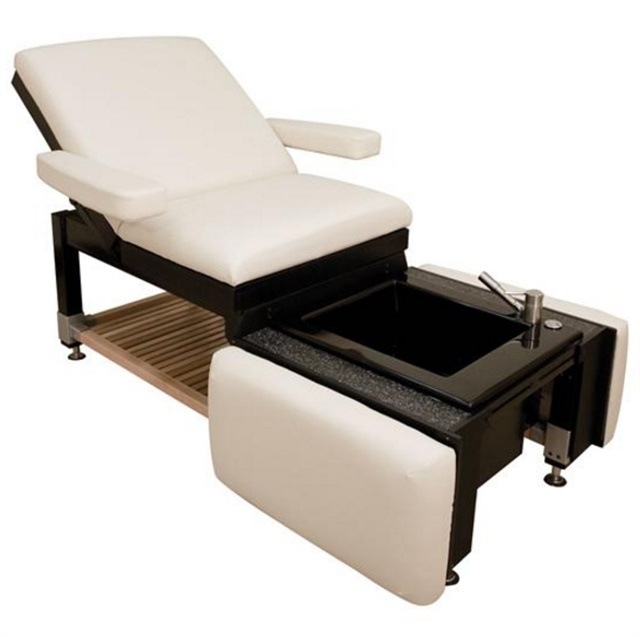 The pedi-spa can easily be converted from a massage table to a comfortable pedicure station with a fully powered backrest, which is operated by a hand control. It features a Sanijet pedi-spa and is available in either a pipeless or fully plumbed version, as long as there is a floor drain and water supply. Buyers can customize its fabric color and wood finishes. For more information, visit www.spatables.com.